As small business owner and entrepreneurs, resources are always scarce. Money, time, technology and people. If you are run small businesses, you probably agree with me. we don’t have much luxury just like the big boys do. “We need to be thrift” said one of my colleagues. Another said, “When you dont have enough money, you need to be creative.”. Agreed? But how thrift and creative can we be when the business demand or peaked? Many times we are not sure whethere we spend enough, just nice, over spend or simply not enough. Especially new business, when oft times we experience yoyo business cycles. Sometimes up and sometimes down. I had the experience taking a stroll to one big mall, and that mall indeed has evolved from simple more to boutique one. I took note from afar a long queue to one shop. This shop was selling hot dogs; a franchise in Kuala Lumpur, Malaysia. It is called 1901. This shop attracted long queue for some reasons that i found out later, where they seriously dont know why suddenly the demand peaked. it was way after lunch time and its friday. So, i watched the 1901 hotdogs store, the tagline was “Food for Friendship” and it has long queue. I can see the people who queue, doenst look friendly and waiting make it feels worse. Then i changed my eyes to the people behind the counter, they were running and busy preparing the hot dogs. Easily they are 40 hot dogs are on preparation table and the hot dogs meat are still in the cooking. So, what can they do? Sometimes, as small business we have this predicament. When that time comes, i should be able to serve my customers fast enough so they will come back. But my business not always like that, so how do i accomodate that. On the other hand, sometimes when business is low, i rather chop few of them but i cannot because they are working full time with me. How do i tell them that? The answer is, no way you can do both at the same time. You see, when customers come to our place they expect certain service level. 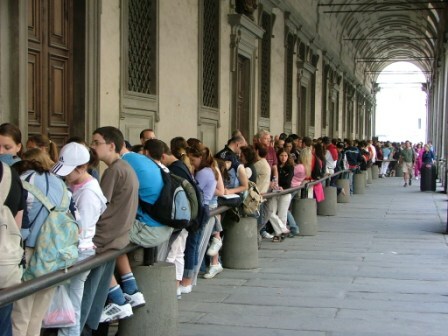 Imagine this, when they come to your food stall they queued and it was late. Because you want to serve all of them fast enough, you may doing it at the expense of the product quality. Your quality drops because you spend less time on each product that came out. That customer, as they are eating feel your product doesn’t meet certain quality and they said, “Not so good, i won’t buy again.”. Now, if all the customers in the long queue are new customers and experienced things like that, i can tell you right now that you are on the way out of your business very soon. I was in that position at one time, where “while we are trying hard to do our very best to the customers, it is still not enough”. And i was out from my food business and trading. I learned the hard way too. But what can you do? These are my suggestions from a management and marketing perspectives. 1. Identify peak periods – after doing business for a while, i am sure you can predict the low and high period. Write them down and monitor it. 2. Check out your stocks for low and high selling items – some segments prefer certain things, so make sure you have enough of them. Because if you dont, they are likely not to come back. And when you have them, you will be struggling to find the buyer. 3. Create a simple process – this is going to help you to deal with peak periods more effectively. Create scenarios and develop possible solutions and look into your delivery processes. You can have low period processs and high period process. 4. Create incentive – during high period, your staffs are busy and they are tired. Most of time, staffs dont welcome busy period because they have to work harder. Face it, they are not you and you are not them. So to them they are “forced” to work extra within the same time and the same pay. a small incentive at the end of the busy day, will do a lot of difference. 5. Over communicate – this is lacking in many organizations. As business owner, you dont have the luxury to “kow-tow” your staff, but at the same time you shouldnt be rude to them. Talk to them in group and individually. Simple because over communication clears a lot of doubts. When their mind is clear, you make them easier for them to play their role and perform. When you are understaff, as business owner we need to be sensible and sensitive. Sensible to the staffs and sensitive to the customers. We dont want, the stafffs to run away as well as the customers. The trick is in the managing resources so they become optimized and effective. Over staff can be disastrous to motivation and financial, so do under staff. Which one is better? None. Previous Existing Customers Not Important, Negate Them!